Lady Jane Dudley (née Grey) (1537-1554), Proclaimed Queen 1553. Sitter associated with 57 portraits. 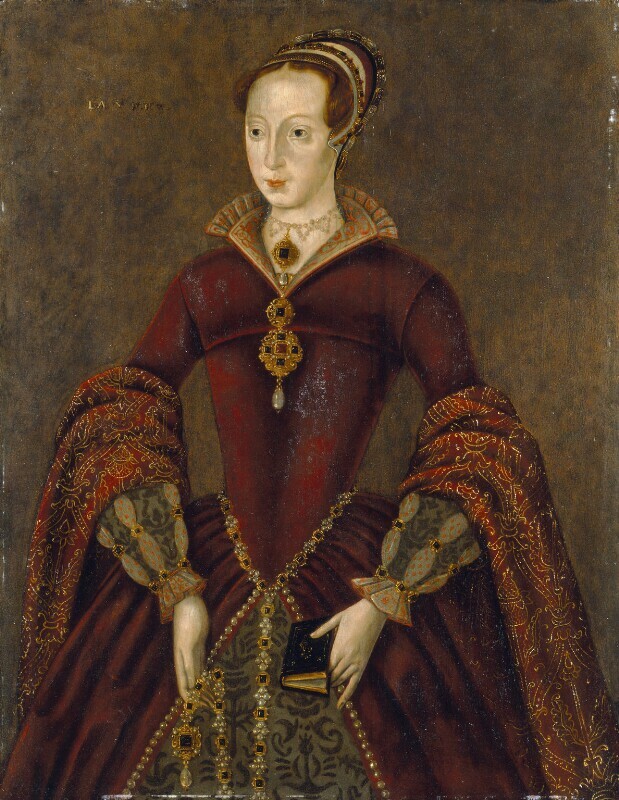 This is one of the earliest surviving portraits of England's shortest-reigning monarch, Lady Jane Grey, despite being made some forty years after her death. A commemorative portrait, this panel may have formed part of a set of Protestant martyrs. Scratched lines across the eyes and mouth suggest that the painting has been subjected to an iconoclastic attack at some point in its history.